Already a port in Punic times, and always a synonym of fishing and salt production, the laguna's importance is now internationally recognised. 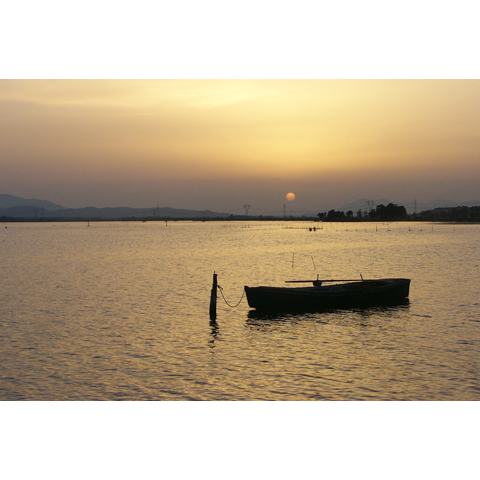 The Cagliari lagoon is a wetlands area of 1300 hectares just outside the capital, and has historical and natural value. This was the location shared by the Macchiareddusaltworks, where production continued up to the 1970s; Porto Canale, Sardinia's main industrial port; the Santa Gilla lagoon; the Capoterra pools and saIlletta, once known as the Island of San Simone, which was united with the mainland in the 16th century. The wetlands are bordered to the east by Elmas, the airport, Cagliari and its road, rail and industrial infrastructures, to the north by the mouth of the Rivers Fluminimannu and Rio Cixerri, to the west by the industrial district of Macchiareddu (Assemini), the fields and homes of Capoterra, and to the south by a strip of land that separates it from the sea. These borders have varied over the centuries due to land reclamation, urbanisation, the construction of infrastructures, and agricultural and industrial expansion. 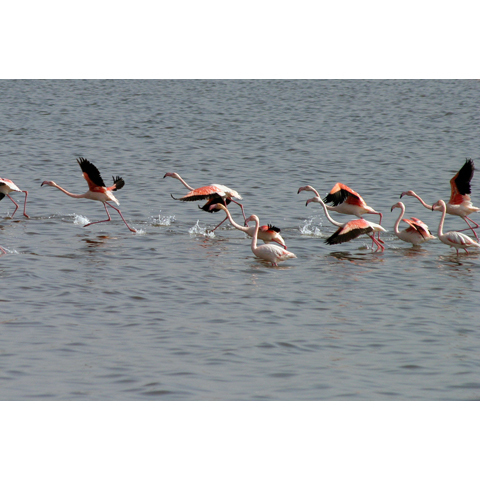 Its size and biodiversity make it one of Europe's most important lagunas, confirmed by the Ramsar Convention. Its waters, which are 2.5 metres deep at most, are mainly salt water with an influx of fresh water from the rivers flowing into it. The strategic position has made it a port hub, leading to alterations in the ecosystem. Nonetheless, the plants along the shores offer a habitat to nearly 200 bird species, 70 of which remain all year round: herons, ducks, barn owls, black-winged stilts, falcons, gulls and kingfishers. 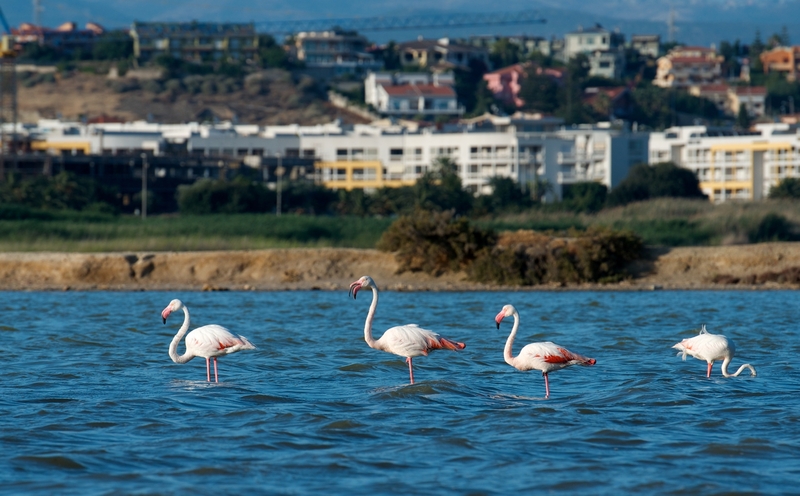 The symbol of the lagoon are the pink flamingos, that choose to nest in Cagliari as well as in the Molentargius Park. You can observe without disturbing them in birdwatching hides located along the main road that runs around the edge of the Capoterralaguna. Human settlements in the lagoon date back to the 8th century BC. Santa Gilla was home to the first Carthaginian nucleus of Carales, a centre for trade and fishing. In Roman times, it became the suburb of Karalis. In the Middle Ages Santa Igia, on the strip of land facing the laguna, was capital of the jurisdiction of Calari and the bishop's seat. Its waters were open to the vessels of the marine republics: a naval battle between Genoa and Pisa was fought in the lagoon (1194) for control of the jurisdiction. Regarding the history and culture of Cagliari, once you've finished visiting the lagoon, delve into the thousands of attraction in the Sardinian capital. From Cagliari, take SS 195 in the direction of Pula. At the roundabout just before the Maramura bridge turn right onto the industrial road (dorsale consortile) in the direction of Assemini. After about 1 km you will see the Tecnocasic waste incinerator on the right. Take the narrow side road flanking the left side of the incineration plant (following the sign for 'Progetto Gilia'). This side road, which is lined by a wooden fence all along its 1.5 km length, leads to the wetland.